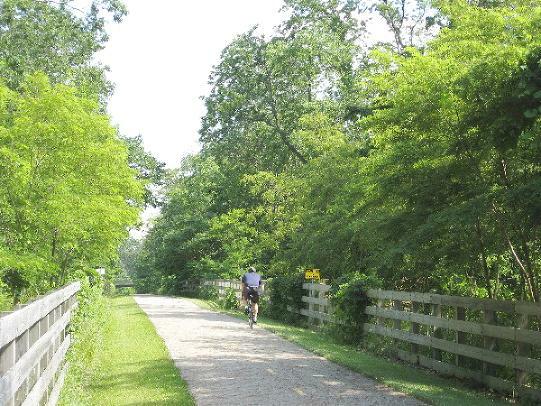 From lakemetroparks.com, "The portion of the Greenway Corridor that goes under SR 608 in Concord Township will close on April 10 due to the replacement of the SR 608 bridge over the pathway. "In conjunction with the closing of the pathway, the Ravenna Road parking lot and pathway access will close. Project completion is expected in late October. Pathway access and parking at the Environmental Learning Center will remain open." Facilities: Water near Concord Hambden Rd, Portable Toilets may be available near Rt. 84 (Johnny Cake Ridge Rd) & the I-90 bridge. Worth Noting: There is a .4-mile section of this bikeway that is connected to the Maple Highlands Trail to the southwest. It resides in Lake County and is therefore considered a part of this trail, despite the 2 mile distance between trail sections. It is a gentle uphill climb if riding from north to south; pleasant coasting most of the way from south to north. The surface consists of asphalt that apparently has chunks of iron throughout which became rusted, giving the trail an all-over design with squiggly brown spots. The northern section of the trail, from Jackson Street to Liberty, is through the city of Painesville, with about six road crossings. The one at Liberty can be pretty heavy with traffic during peak times, but there is a traffic light. From this point south it is smooth, straight sailing, with a couple of small country road crossings and an impressive bridge over Interstate 90. 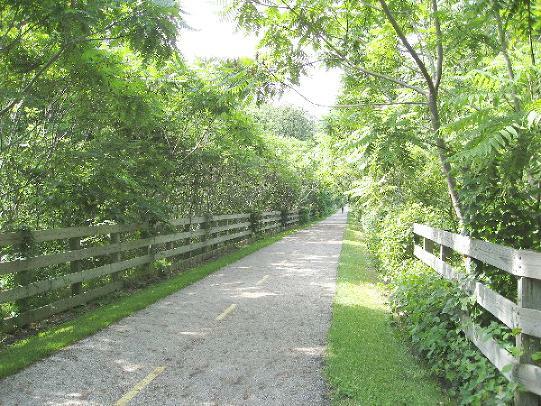 I believe that the future plan is to connect this bike trail with [the short segment that's linked to the Maple Highland Trail] to the south. At present, however, there is a good-sized gap between the two, but it can be navigated without much trouble.